Retirement community opens doors for a free evening of clean comedy with Northwest comedian. 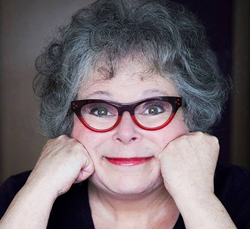 Wesley Homes retirement communities welcomes clean comedian Susan Rice to its Des Moines campus on Friday, September 22 at 6:00 p.m. For reservations, call 206-824-5000. Making people laugh comes naturally to Rice. In college, Rice found that she loved the sound of laughter. She stepped on to a comedy stage for the first time in 1983 and never looked back. Moving to Los Angeles in 1986 put her front and center into the stand-up comedy boom that included Whoopi Goldberg, Roseanne Barr, Ellen Degeneres and Tracey Ullman. As one of the nation’s 20 female stand-up comics working the road in the early 1980s, Rice found the road to be a great training ground to prove she could appeal to both women and men. She knew that she was a minority in the field of stand-up comedy. Rice learned from her misses, and soon her hits were consistent enough for her to become a headliner. For over 32 years, Rice has brought her unique style of comedy to every kind of audience. She has honed her performance to appeal to all ages. Her television credits include Portlandia, HBO's Comedy Festival from Caesar's Palace and Showtime’s Comedy All Stars. Over the last few years, she has traveled internationally for Relay for Life® and the Ovarian Cancer Association of Southwest Washington and Oregon. “By bringing Susan to Wesley Homes, we’ll instill laughter in our residents’ lives and maybe start a new tradition of adding comedy to the long list of things that makes Wesley Homes a wonderful choice to call home.